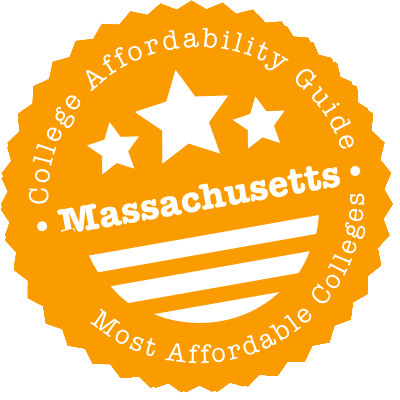 Scroll down to see our top-ranked colleges in Massachusetts, loans and scholarships for Massachusetts students, and advice on how to save money going to college in Massachusetts. Established in 1838 by Horace Mann as America's first public institution of higher learning that is free from race, gender or economic bias, Westfield State University continues to welcome and educate students from a wide range of socio-economic and cultural backgrounds. The average first-year financial assistance package is $6,673 for the academic year 2013-2014. This typically includes grants, scholarships, loans and work-study opportunities. Incoming freshmen who are residents of Massachusetts with outstanding academic achievement are automatically considered for the Presidential Merit Scholarships ($4,000 per year). Tsongas Scholarships are merit-based scholarships that cover the annual tuition costs and mandatory fees of qualified beginning in-state students. A 1,450-acre campus with a 2014 undergraduate population of over 22,000, the University of Massachusetts in Amherst is a culturally-diverse institution with nine schools and colleges, 111 bachelor's degree programs, 76 master's and 47 doctoral programs. First generation freshmen or those coming from a low-income background may be eligible for the Community Scholarship and Award, which may be combined with a tuition waver. Incoming freshmen from Boston high schools and who are interested in pursuing a STEM major may qualify for the Vertex Science Leaders Scholarship, which can cover up to the full cost of attendance at the university. The Stephen Phillips Memorial Scholarship ($3,000 - $15,000 annually) supports freshmen who are permanent residents of a New England state with unmet financial need. A scenic waterfront location and easy access to downtown Boston make the University of Massachusetts - Boston the ideal urban university for its growing population of 16,000 students. Every year the University awards more than $153 million in financial aid to students, $4.4 million to freshmen alone. Incoming freshmen who graduated from the Boston or Chelsea public school system and are in need of financial assistance may be considered for The Samuel Brehm Scholarship ($5,000 per year). The Stephen J. Sweeney Scholarship Program ($2,700) supports in-state freshmen who have a strong record of community service. Students who intend to pursue a career in public service after graduation may be eligible for The Michael A. Ventresca Scholarship Program ($2,000 - $4,000 per year). Fitchburg State University is a four-year, liberal arts institution that awards over 700 bachelor's degrees and over 300 master's degrees each year. FSU provides financial aid to 89% of full-time beginning undergraduate students through need-based grants, loans, departmental scholarships and federal work-study. Grants available to FSU undergraduates include government grants like the Federal Pell Grant ($600 to $5,775 per year) and the MA State Grant ($400 to $1,100 per year), as well as institutional grants like the Fitchburg State University Fee Grant ($1,000 per year). FSU graduate students are eligible for scholarships, graduate assistantships and loans. Graduate scholarships include the $500 Jack and Lou Leamy Scholarship and the Dean's Graduate Scholarship. Graduate assistantships cover the cost of tuition and fees and provide a stipend. Established in 1874 as the Worcester Normal School, Worcester State University has grown into a four-year public higher education institution offering 25 majors in liberal arts and sciences, business, biomedical sciences, the health professions, and teacher education. The University has the following merit-based scholarships for qualified freshmen: the Presidential Scholarship (full in-state tuition and fees), the Merit Scholarship ($3,000/year) and the Achievement Scholarship ($1,500/year). Native American students who are Massachusetts residents may be eligible for the Native American Tuition Waiver program. Incoming freshmen from under-represented ethnic groups, a low-income background, or who are the first in their family to attend college may be considered for the Access Scholarship ($1,000/year). Non-traditional students who are business or economics majors with demonstrable financial need may apply for the Dr. Leonard F. Farrey Memorial Scholarship ($4,000). Massachusetts College of Liberal Arts in North Adams, Massachusetts is a public liberal arts college that ranked 165th in U.S. News & World Report's 2015 list of the best liberal arts colleges in the U.S. Academically outstanding incoming students are automatically considered for Presidential Scholarships, which range from $1,000 to $4,000 per year, and the Paul E. Tsongas Scholarship, which covers full-tuition and fees for Massachusetts residents in the top 10% of their high school class. Massachusetts College also offers an 85% tuition reduction to students who are New York residents; Southern Vermont residents; Arts Management majors from Connecticut, New Hampshire, Rhode Island or Vermont; Athletic Training majors from Rhode Island; and English/Communication majors from Rhode Island or Maine. The Financial Aid Office of Framingham State University administers a number of institutional and state-funded grant programs for admitted students with demonstrable financial need who are also Massachusetts residents. These include the Framingham State University Grant (full cost of tuition and fees), Financial Aid Tuition Waiver (full cost of tuition only), and Framingham State University Parking Fines Grant (full cost of in-state tuition). The FSU Financial Aid Office also awards a Fee Grant of up to $2,000. Several Foundation Scholarships are available for both incoming freshmen and continuing undergraduates, including the Class of 1954 Scholarship (juniors or seniors majoring in Elementary Education or Family and Consumer Sciences) and the Adelina Acchione Cellucci Scholarship (Early Childhood Education majors). Both award $1,000 each per year. Incoming freshmen with outstanding academic credentials and who are also Massachusetts residents are automatically considered for the following scholarships: Chancellor's Merit Scholarship (full tuition, mandatory fees, room and board), Commonwealth Scholarship (full tuition and mandatory fees), and the Dean's Scholarship (half tuition and mandatory fees). Out-of-state freshmen who meet the academic criteria are also automatically considered for scholarships, including the Provost Scholarship ($20,000/year), Academic Council Scholarship ($10,000/year), Regional Provost Scholarship ($9,500), Academic Achievement Scholarship ($7,500/year), and the Regional Academic Council Scholarship ($3,500/year). Continuing full-time undergraduate students can apply for the Charles J. Hoff Scholarship ($2,000/semester). Undergraduate students enrolled in the Manning School of Business with demonstrable financial need can apply for the Pulichino/Tong Family Foundation Business Scholarship ($2,500/semester). Massachusetts is known as the Education State. For an affordable college degree, you might consider a University of Massachusetts campus, a state university or even a rural college. Better yet, the Commonwealth has a large number of state financial aid programs for students of every age. There are grants for public and private schools, merit-based scholarships, no-interest loans and tuition waivers aplenty. Massachusetts offers a number of programs that make it possible for college students to transfer course credit between public education institutions. General education blocks earned as part of the MassTransfer Block are accepted at all public higher education institutions, and Massachusetts also offers two guaranteed admission programs for students who complete an associate’s degree. Certain students may also benefit from transfer compacts in the state. Massachusetts students can transfer blocks of general education to a bachelor’s degree program with the MassTransfer Block. This set of general education requirements is accepted for full transfer at any Massachusetts public higher education institution, even if students haven’t completed an associate’s degree. The credits satisfy general education requirements for any public education institution in the state. Additionally, MassTransfer allows community college students to complete associate’s degrees that are linked to MassTransfer programs. These programs offer a full credit transfer, guaranteed admission, and a tuition discount based on GPA. The Massachusetts Board of Higher Education Joint Admission and Tuition Advantage Program offers students a way to earn guaranteed admission to a four year college or university, plus a discount on tuition. Students who earn an associate’s degree at a community college in Massachusetts are offered guaranteed admission to a Massachusetts state college or university. If you’re able to graduate with a minimum GPA of 3.0, you’ll also receive a discount on your tuition. With the Commonwealth Transfer Compact, Massachusetts students can have courses and credits earned for an associate’s degree transferred and applied toward a bachelor’s degree, provided certain criteria are met. Students must complete at least 60 credits and earn at least a 2.0 GPA. General education core requirements must be met, with minimum credit in core education areas. Students interested in an education degree may also take advantage of the Early Childhood Education Compact and Elementary Education Compacts. These compacts specify course work for certification as a lead teacher, prepare students for entry into a bachelor’s degree program, and guarantees credit transfer and admission to education programs at state colleges and universities at the bachelor’s degree level. Massachusetts offers a reverse transfer program that enables students to earn an associate’s degree while pursuing a bachelor’s degree. Students who transfer from a community college in Massachusetts are able to use their credits earned at both the community college and four year institution to satisfy the requirements to earn an associate’s degree credential. The Massachusetts Department of Higher Education (DHE) is in charge of administering state aid to college students, and it has an excellent resource for college preparation & planning called the Office of Student Financial Assistance (OSFA). OSFA has a comprehensive (and very long) list of state financial aid programs, a quick guide to the most popular grants, waivers & scholarships and an entire section devoted to advice, tools & links for students. If you have any questions about state aid, you are welcome to call the DHE’s Office of Student Financial Assistance at 617-391-6070 for additional information. You can also track your status & applications through the MASSAid Student Portal. Another website to investigate is the Massachusetts Educational Financing Authority (MEFA). MEFA offers low-cost college financing to families of aspiring college students, including the U.Plan Prepaid Tuition Program, the U.Fund College Investing Plan, Undergraduate Loans and Graduate Loans, and an Education Refinancing Loan. It has also developed a free college and career planning portal called YourPlanForTheFuture. Summary: This grant is available for Massachusetts foster children who wish to pursue a full-time undergraduate or certificate program at any college or university throughout the continental United States. This institution must be accredited and eligible to participate in the federal Title IV programs. The maximum award amount is $6,000 per academic year. Students can receive grants for up to five consecutive years. How to Apply: Contact the DHE’s Office of Student Financial Assistance at 617-391-6070 or your social worker in the Department of Children and Families. You’ll also need to file a FAFSA. Summary: The Cash Grant is meant to supplement the Need-Based Tuition Waiver. It’s available to MA undergraduates attending a Massachusetts public institution of higher education (e.g. UMass, state universities & community colleges) and it provides grant money for expenses such as mandatory fees and non-state-supported tuition. An individual award for an academic period cannot exceed the combined institutional tuition & fees. How to Apply: File your FAFSA and contact your institution’s Financial Aid Office for application requirements and deadlines. Summary: These need-based grants are given to MA undergraduates who are attending private, regionally accredited, non-profit postsecondary schools or schools of nursing in Massachusetts (i.e. not public institutions). The MGMSG page has a full definition of eligible institutions. Award amounts typically range from $200-$2500 per academic year. How to Apply: Contact your institution’s Financial Aid Office for application requirements and deadlines. Summary: These need-based grants are available to low-income MA undergraduates who are pursuing a part-time degree or certificate program at a public, private, independent, for profit or non-profit institution in Massachusetts. The institution must be fully accredited and eligible to participate in the federal Title IV programs. Annual award amounts depend on the type of institution that the student attends. Summary: This grant is given to children or spouses of residents who were killed or are missing in the line of public service duty in the Commonwealth of Massachusetts. Financial need is not a requirement. Students attending a Massachusetts public college or university receive a grant for the cost of full-time annual tuition. Students attending a Massachusetts Independent College or University receive a grant that is equal to full-time annual tuition at UMass Amherst (not to exceed $2,500 per year). Child or widowed spouse of a Massachusetts Police Officer, Firefighter or Corrections Officer who was killed or died from injuries received while performing his or her duties. This shall also include authorized training duty. Child of a Prisoner of War Military Service Person Missing in Action in Southeast Asia whose war time service was credited to the Commonwealth and whose service was between February 1, 1955 and the termination of the Vietnam campaign. Child of a Veteran whose service was credited to the Commonwealth and who was killed in action or died as a result of such service. Eligibility: Complete the Public Service Grant Application and provide the necessary documentation. You must reapply for the grant each year. You’ll also need to file a FAFSA. Summary: These need-based grants are awarded to low-income MA undergraduates. Students must be pursuing an undergraduate program (certificate, associate’s degree or bachelor’s degree) at an eligible institution. This list includes state-approved public, private, independent, for-profit or non-profit institutions in the Commonwealth of Massachusetts and certain institutions in Vermont, Pennsylvania and the District of Columbia. Award amounts depend upon a student’s Estimated Family Contribution (EFC) and the type of institution that he/she attends. Summary: This need-based scholarship is available to low-income MA students from rural areas who wish to pursue a full-time certificate, associate’s or bachelor’s degree program at a Massachusetts public institution of higher education (e.g. UMass, state university or community college). It’s important to note that UMass Amherst is excluded from the definition of eligible institutions. Individual student awards for an award period vary. Rural areas are defined as non-urban areas with fewer than 15,000 inhabitants. How to Apply: File your FAFSA and contact your institution’s Financial Aid Office for application requirements and deadlines. Each institution may nominate up to five eligible candidates on an annual basis. Summary: This need-based and merit-based scholarship is available to MA students in 10th and 11th grades who have faced serious challenges in attaining educational goals. Students selected for the program must have overcome major adversity in their lives (i.e. physical or mental abuse, catastrophic illness, etc.). Obstacles may be mental, physical, geographic or societal. Students who earn the scholarship can receive up to 50% of their calculated need at the college of their choice within the continental United States. Award amounts are based on the total educational cost, including tuition & fees, room & board, books and transportation. How to Apply: If you are in the 10th or 11th grade, you will need to apply in February or March of your present academic year. You must be nominated by a school, qualified community agency or organization and complete the Christian A. Herter Application Form. Summary: This need-based scholarship is available to MA students who have participated in a component of the GEAR UP Massachusetts Early Intervention initiative. It provides money for full-time or part-time undergraduate study (certificate, associate’s degree or bachelor’s degree) at a state-approved public, private, independent, for profit or non-profit institution in the Commonwealth of Massachusetts. Certain state-approved institutions in NH, ME, CT, VT, RI, PA and the District of Columbia are also eligible. The annual full-time award is $1,000; three-quarter time is $900; half-time or less is $800. Scholarships may be awarded for a maximum of four years (or eight semesters) or the adjusted equivalent if the student is enrolled part-time. How to Apply: File your FAFSA. Students who have participated in the GEAR UP Massachusetts program while in high school and complete a current FAFSA as Massachusetts residents are automatically considered for a GEAR UP scholarship. Summary: This merit-based scholarship provides a tuition waiver—up to eight semesters of undergraduate education—to high-achieving MA students who wish to attend public institutions of higher education (e.g. UMass, state universities or community colleges) in Massachusetts. You can view scholarship values in this handy chart. Individual scholarship awards shall be no more than the resident undergraduate tuition rate at the participating institution. How to Apply: There is no separate application. If you meet the scholarship requirements, you’ll be notified in the fall of your senior year in high school. Summary: This need-based scholarship is available to low-income MA residents who act as the head of their households and who are at risk of homelessness—or have been homeless—within the previous year. The scholarship can be used for full-time or part-time undergraduate programs (certificate, associate’s degree or bachelor’s degree) at a public, private, independent, profit or non-profit postsecondary institution in Massachusetts. Award amounts vary. The scholarship may help cover tuition & fees as well as related living expenses. In addition to scholarship money, participants receive a network of services (e.g. coaching) through the non-profit organization, One Family, Inc.
Be enrolled full- or part-time, in a certificate, associate’s or bachelor’s degree program at an eligible institution. Be maintaining satisfactory academic progress in accordance with institutional and federal standards. How to Apply: File your FAFSA and complete the One Family Scholars Program Application. Summary: This merit-based scholarship is awarded to MA high school students with a GPA of 3.75 and SAT scores of at least 1200 (or an ACT equivalent). Eligible students receive a waiver of tuition and mandatory fees at one of nine Massachusetts state universities. UMass and community colleges are not eligible institutions. Have applied for financial aid, using the standard Free Application for Federal Student Aid (FAFSA). How to Apply: Contact the Massachusetts state university that you plan to attend for application requirements and deadlines. Summary: This scholarship is available to currently employed early childhood and out of school time educators/providers who wish to enroll in an associate’s, bachelor’s or master’s degree program in Early Childhood Education (or a related field) at an eligible institution. We’ve put this grant in the “loan repayment” category because recipients must sign a contract agreeing to continue employment as an early childhood educator/provider in Massachusetts upon completing the degree. If a student fails to provide the required service, the grant must be repaid. Annual award amounts vary depending on the choice of institution. How to Apply: File your FAFSA. Create a MASSAid Student Portal account. Complete the ECE Scholarship Application in the MASSAid Student Portal system. Applicants must have an active ECE Professional Qualifications Registry Number to be considered. If you do not have an active EEC PQ Registry Number, visit the PQ Registry. Summary: This tuition waiver is given to high achieving college students (juniors or seniors) pursuing a teacher certification program in a field with demonstrated teacher shortages. Eligible institutions include Massachusetts state universities and UMass campuses. We’ve put this waiver in the “loan repayment” category because recipients must commit to teaching for two years in a Massachusetts public school within four years of graduation. If they fail to complete the teaching requirement or their college education, they must repay the waiver with interest. The annual award amount is equal to the resident tuition rate. The tuition waiver for the second year of eligibility (senior year) is contingent upon the student earning a 3.0 GPA in the third year (junior year). How to Apply: Contact the Financial Aid Office at the institution you are attending (or plan to attend) for application requirements and deadlines. You’ll also need to file a FAFSA. Summary: MLRPs are available to primary health care professionals in a variety of disciplines who agree to practice in underserved communities in Massachusetts. These include federally designated Health Professional Shortage Areas (HPSAs) and state-specific shortage areas. To receive loan repayments, applicants must be licensed to practice in Massachusetts and commit to two years of full-time work or an equivalent part-time commitment (e.g. a 20-hour practice per week equals a 4-year contract) in an eligible facility or setting. Health Professionals are eligible to receive up to $50,000 in repayments on qualified education loans. Awards are never larger than the outstanding loan balance. Award amounts vary by discipline. How to Apply: Complete the MLRP Application from the Massachusetts Executive Office of Health & Human Services (EOHHS). Summary: Massachusetts offers a zero interest loan to low-income residents attending eligible postsecondary educational institutions in Massachusetts. The institution must be located in Massachusetts and have signed a Participation Agreement with the DHE’s Office of Student Financial Assistance. Award amounts are based on financial need. The minimum annual award is $1,000 per academic year; the maximum is $4,000. A NIL-eligible student has a lifetime borrowing limit of $20,000. Students have a period of 10 years to repay their loans. Summary: This grant is available to MA residents who are currently employed as paraprofessionals in Massachusetts public schools, but wish to become certified as full-time teachers. It can be used at any eligible institution that has a DESE-approved teacher preparation program leading to licensure. We’ve put this grant in the “loan repayment” category because recipients must sign a contract agreeing to serve as a full-time teacher in a Massachusetts public school for 2-4 years. If a student fails to provide the required service, the grant must be repaid. Annual award amounts vary depending on the choice of institution and enrollment status. How to Apply: File your FAFSA. Create a MASSAid Student Portal account. Complete the Paraprofessional Teachers Preparation Grant Application in the MASSAid Student Portal system. Eligibility: Children qualify if their parent in the military died in either Operations Enduring or Iraqi Freedom and whose death was credited to the Commonwealth of Massachusetts. There is no selection process. How to Apply: Contact the MSLF for more information about the program. Contact the Massachusetts Department of Veterans’ Services for more info on education benefits for active military and veterans (e.g. Post 9/11 GI Bill, Troops to Teachers, etc.). Summary: This bonus is given to veterans of Iraq and Afghanistan who have seen active service. You are eligible to reapply for the bonus for subsequent deployments. Award amounts range from $500 to $1,000. Active service does not include active duty for training in the Army National Guard, Air National Guard, those in the Naval Academy or active duty for training as a reservist in the U.S. Armed Forces. You must also be activated under Title 10, not Title 32. How to Apply: Complete the application form for Active Status Applicants or Discharged Status Applicants (subsequent deployments). Summary: Every year, Smith awards a full Master in Social Work (MSW) scholarship to one active duty service member or veteran. Applicants must have a commitment to serving the mental health issues of military personnel and their dependents upon graduation. Recipients are given preference for the location for their field placement (to be selected from the SSW listing of geographic options available). The scholarship guarantees full tuition for the 27-month program, as well as campus room & board while the student is on campus during the summer months (approximately $50,000 in total). Continuation of this award is contingent upon the recipient remaining in good academic standing both in their coursework and in field placement. How to Apply: Contact the Dean of Graduate Enrollment at Smith College for an application form. You will need to submit a copy of your ID card and DD214 with your application materials. Applications are welcome year-round. Summary: This program provides a 100% tuition and fee waiver for active members of the Massachusetts Army National Guard who wish to attend a state college, university or community college program. As long as you are in good academic standing, assistance can continue until you have reached 130 semester hours. How to Apply: Contact the Veterans’ Representative at your choice of state college or university for details. You must request a Certificate of Eligibility (TAGMA Form 621-3) every 30 credits from the Massachusetts National Guard Education Office. You may request one by calling the office at 508-968-5889. Summary: Both UMass and Suffolk University participate in Veterans Upward Bound—a free pre-college program designed to help veterans of any age prepare for a program of postsecondary education. Veterans receive help with academic skills, college & career awareness and the GED. Free services include workshops, self-paced computer tutorials, individualized tutoring and classroom-based instruction. The VUB program is need-based. How to Apply: Make an appointment with Veterans Upward Bound staff at your choice of university. Bring your DD214 with you when you go in to fill out an application. Summary: This tuition waiver is available for new MA public school teachers who have passed all three components of the Massachusetts Teachers Test. Eligible public school teachers can receive waivers for up to three state-supported graduate courses at a Massachusetts state university or the University of Massachusetts—one course for each of the first three years of teaching. The value of each tuition waiver is approximately $300 per course. Individual student awards shall be up to the resident tuition rate at the participating institution. How to Apply: Contact the Financial Aid Office at the institution you are attending (or plan to attend) for application requirements and deadlines. Summary: This tuition waiver is available to certain categories of MA residents, including veterans, senior citizens, Native Americans, active members of the U.S. Armed Forces and the blind. The waiver can be used for undergraduate programs (certificate, associate’s degree or bachelor’s degree) at a Massachusetts public institution of higher education (e.g. UMass, state university or community college). The waiver covers tuition. Individual institutions have the right to waive certain fees if they wish. If a student is the recipient of both a need-based tuition waiver and a categorical waiver, the total value may not exceed the total cost of tuition. Summary: This tuition waiver is available for MA public school teachers who agree to mentor full-time student teachers from public colleges and universities. Teachers receive a waiver for one graduate-level course for each student teacher mentored (there is a maximum of one student teacher per semester). The waiver can be used for education courses or courses related to the teacher’s major at state universities or the University of Massachusetts. Individual student awards shall be no more than the resident graduate tuition rate. Teachers can request waivers for up to two years after the completion of the mentoring relationship. Summary: This waiver is available to all children and young adults (age twenty-four or under) who have been adopted through DCF by state employees or eligible Massachusetts residents, regardless of the date of adoption. Students can receive the waiver for courses or an undergraduate program at a Massachusetts public institution of higher education (e.g. UMass, state university or community college). The waiver covers tuition & mandatory fees for eligible state-supported courses, equal to 100% of the resident tuition rate. However, awards are subject to state budget appropriations. The waiver excludes graduate courses and courses in the MD program at UMass Medical Center. How to Apply: Obtain eligibility documentation from the Department of Children and Families (DCF) and present it to your campus Financial Aid Office for consideration. Contact the DHE’s Office of Student Financial Assistance at 617-391-6070 to obtain more information and to inquire about application requirements and deadlines. You’ll also need to file a FAFSA. Summary: This waiver is available to DCF foster children who wish to pursue courses or an undergraduate program at a Massachusetts public institution of higher education (e.g. UMass, state university or community college). Students must be aged twenty-four or under. The waiver covers tuition & mandatory fees for eligible state-supported courses, equal to 100% of the resident tuition rate. However, awards are subject to state budget appropriations. Summary: This tuition waiver is intended to encourage students to enroll in graduate programs or post-baccalaureate certificate programs at Massachusetts public colleges and universities (i.e. UMass or state universities). You don’t have to be a Massachusetts resident to apply. Award amounts vary and are determined by the individual institution. Massachusetts public higher education institutions seek funding from business & industry for undergraduate computer tech & engineering scholarships. The state matches the industry scholarship with a full waiver of the cost of a student’s annual tuition (up to the resident undergraduate tuition rate). During the program, students participate in internships that provide them with real-life experience. How to Apply: File your FAFSA and contact the Financial Aid Office at the institution you are attending (or plan to attend) for application requirements and deadlines. Summary: This waiver is available to students who have completed an associate degree at a public community college approved under the MassTransfer program and enroll in an undergraduate program at a Massachusetts state college or university. The waiver is equal to 33% of the resident tuition rate at a state college or participating university for the two years immediately following community college. For those students completing associate’s degree requirements in a term where the community college does not confer degrees, a letter from the Registrar or Joint Admissions officer should accompany the other documentation certifying completion of associate’s degree requirements. Summary: This waiver is only available to MA students participating in the MEFA Prepaid Tuition Program. If a student’s tuition exceeds the amount received as a credit through the MEFA Prepaid Tuition Program, the program allows a Massachusetts public institution of higher education to waive the remaining tuition. How to Apply: Contact the Massachusetts Educational Financing Authority (MEFA) at 617-261-9760. Summary: These waivers are available for full-time or part-time MA undergraduates attending a Massachusetts public institution of higher education (e.g. UMass, state universities & community colleges). They’re awarded during the financial aid process as part of the total financial package. Depending on the institution, students may receive a partial or full waiver. However, the waiver for the award period must not exceed the actual campus tuition or the student’s demonstrated financial need. How to Apply: File your FAFSA and contact your institution’s Financial Aid Office for application requirements and deadlines. You’ll be notified if you receive a tuition waiver in your financial aid award letter. Summary: This waiver is available for the children and widowed spouses of victims of September 9/11. It covers 100% of the resident tuition rate at any state-supported course or program offered by a Massachusetts public college or university. Summary: This merit-based tuition waiver rewards Massachusetts high school students with outstanding academic achievements, including strong MCAS scores. In return for these achievements, eligible recipients can have the cost of their undergraduate tuition waived at a Massachusetts public institution of higher education (e.g. UMass, state university or community college). Individual student awards cannot exceed the resident undergraduate tuition rate. Students who have already graduated from high school are not eligible to apply. How to Apply: Application forms are available from the Koplik coordinator at your high school. Or you can contact Alexia Cribbs at the Massachusetts Department of Elementary & Secondary Education at 781-338-3581 or via email at Koplik@doe.mass.edu. You will also need to file a FAFSA. Summary: UMass has signed a cooperative learning contract with a limited number of exchange institutions. That means UMass students can participate in programs at these exchange institutions without tuition charge (i.e. tuition waiver). In the same fashion, exchange students can attend UMass without tuition charge or at in-state rates to their home institution. How to Apply: Contact the Financial Aid Office at your choice of UMass campus for application requirements and deadlines. Summary: Massachusetts high school valedictorians are entitled to receive a waiver equal to 100% of the tuition cost of undergraduate study at any public higher education institution (e.g. UMass, state universities & community colleges) in Massachusetts. Summary: This generous waiver gives undergraduates at Massachusetts state universities and UMass campuses the chance to participate in internships and academic courses at the Washington Center in Washington, D.C. The Board of Education waives the tuition, the institution waives the mandatory fees and Washington Center provides a housing scholarship of $2,000. The Executive Office of Health and Human Services (EOHHS) manages a large number of state programs for low-income residents, including SNAP (food stamps), temporary cash assistance and MassHealth. The Department of Early Education and Care (EEC) offers a child care subsidy. And the Department of Housing and Economic Development (HED) runs a variety of energy assistance programs. Unable to qualify for state assistance? Call 2-1-1 or visit the website of Mass 211. 211 is a free service that connects residents with health and human services resources in their local community. Counselors can provide you with confidential advice on affordable child care, veterans benefits, food bank locations, cheap housing options and more. Alternatively, you can talk to someone at your local Community Action Agency (CAA). These agencies deal with everything from fuel assistance and homelessness to job training, education and child care. The decision to stay on campus will depend a lot on location (e.g. rural vs. urban), your choice of school and your financial aid package. Amherst and Brandeis students, for example, tend to live in college housing. To get a clearer picture of expenses, play with the budget calculator on CalcXML.com. It lets you compare on-campus costs (meal plans, dorm fees, etc.) with off-campus bills (rent, groceries, utilities, etc.). It also pays to remember that many schools, including UMass Amherst, have a first year housing requirement for high school graduates. Check with your school for details on exceptions. If you must live on campus, you can save money by sharing with roommates and opting for the lowest price meal plan. Fortunately, your room will usually be furnished, utilities are included, you’re not paying for commuting costs and the plumbing works. Unfortunately, financial aid programs often don’t cover room & board. To avoid huge student loans, talk to your high school guidance counselor, the Financial Aid Office and/or your university’s housing coordinator. These folks have information on work-study programs and housing scholarships for scholars and low-income students. For example, UMass Lowell’s prestigious Chancellor’s Merit Scholarship covers tuition, fees and full room & board. Bridgewater State issues a MSCBA housing grant to students with financial need. A number of Massachusetts state universities and community colleges are known as commuter schools—places where most or all students live off campus (e.g. UMass Boston and Worcester State University). So keep in mind commuting times & costs, winter weather and housing availability when you’re considering these schools.When you’re ready to start hunting for a cheap apartment, visit the housing section of your university’s website. Most schools have an off-campus page with rental listings, general advice & resources, housing fairs and info on university-owned apartments. Examples include UMass Amherst’s Off Campus Student Services website, UMass Boston’s Office of Student Housing and Fitchburg State University’s list of Off-Campus Housing Providers. These sites often have great tips on how to handle landlords and leases. After that, you have the option to try Craigslist, local messageboards and rental sites (but watch out for scams!). Some sites, such as CampusRent.com and ApartmentGuide.com will even allow you to target affordable listings around your campus. If you’re facing eviction or experiencing a housing crisis, the Massachusetts Homeless Shelter Directory on HomelessShelterDirectory.org has a list of emergency shelters and transitional housing opportunities. Living in an apartment comes with extra costs, including a security deposit, renters insurance and bills. Before you sign your lease, find out what utilities (e.g. electricity, heat, water, etc.) you’re expected to cover. To budget for these costs, you can ask your landlord, the utility company or former renters for a monthly estimate. If you’re sharing with other students, put together a written agreement about how much you’ll each contribute—you don’t want to have late payments on a bill in your name.At home with your family? Already an owner or renter? There are a number of energy assistance programs for low-income Massachusetts residents. We’ve already mentioned the HED’s energy assistance programs (e.g. LIHEAP), but lots of utility companies are also willing to step in and help. Examples include Berkshire Gas’s Payment Assistance Programs, National Grid’s Low-Income (R-2) Discount and Unitil’s Discount Rate Program. Local non-profits are another great resource. For instance, the Massachusetts Good Neighbor Energy Fund offers energy assistance to residents in temporary crisis who do not qualify for federal or state energy funds. For more ideas, call 2-1-1 or talk to a Salvation Army organization in your area. Practically every college—public or private—will have a campus health center that offers free/cheap medical care to registered students. In state universities, services tend to be for things like minor injuries, contraceptive advice, STD treatment, immunizations, mental health counseling and lab work. However, big universities with a lot of funding have been known to provide sports medicine, dental care, radiology services and even surgery (we’re looking at you, Harvard). Check your school’s website for more details. If you need care that a campus health center can’t provide, the Massachusetts Medical Society has a Free Care Services Directory with contact info for clinics throughout the state. FreeClinicDirectory.org and NeedyMeds.org also have lists of community health centers and affordable clinics. A lot of these places are willing to treat mental health problems or refer you to other providers. When you need help now, the Mental Health Crisis/Suicide hotline is 1-800-273-8255. Health insurance may not cover dental care and campus health centers usually don’t offer dentistry. When this happens, you may want to try a Massachusetts dental school or a dental hygiene school. Because these schools are training student dentists, they’ll often offer reduced fees to patients. For example, fees at Tufts’s School of Dental Medicine in Boston can be 25%-50% lower than area dental offices; Middlesex Community College has a low-cost dental hygiene clinic on campus. You can also search for free and low-cost dentists on FreeDentalCare.us: Massachusetts or the MDS Find a Dentist directory. UMass Amherst, UMass Boston, Bridgewater State, Salem State, a slew of community colleges and a large number of other schools have campus daycare facilities. These are always extremely popular, so apply for spaces as early as you can. While you’re there, ask if your college offers child care discounts or financial assistance to student parents. For instance, UMass Amherst has a Child Care Tuition Assistance Award Program (CCTA) for undergraduate parents. Even if you don’t qualify for the EEC’s state child care subsidy, you may be eligible for other programs. The Massachusetts Child Care Resource & Referral Network has a list of child care subsidies/vouchers and the EEC provides a number of ways to Find Early Education and Care Programs (including Head Start) in Massachusetts. You may also want to browse through Mass 211’s section on child care links & resources for families. Transportation expenses are always unique. If you’re living in Western Massachusetts and working a part-time job, you’re probably going to need a car. If you’re studying in Boston and just out of high school, you probably won’t. Whatever your story, we still recommend a quick look at the transportation/transit section of your university’s website. Here you’ll find info on parking options, ridesharing, carpooling, campus shuttles, Zipcars, bike programs and a whole lot more. For instance, UMass Amherst’s Commuter Options Program (COP) has sign ups for van pools and discounts for clean vehicle parking permits. Framingham State offers a RAM TRAM shuttle bus service to popular Rt. 9 destinations and the Framingham Commuter Rail station. This section will also have details on local transit deals for students. For example, students at UMass Boston and Northeastern can apply for a discount on an MBTA pass. In addition, a number of schools have partnered up with MassRIDES to offer students NuRide travel rewards. Even national carriers such as Amtrak and Greyhound have cheap fares for college attendees. Please don’t go hungry in order to pay for college. UMass Boston, UMass Dartmouth, UMass Lowell, Salem State, Bunker Hill Community College—all these schools (and more) now run campus food pantries. Some universities have also developed mobile food markets, free meal vouchers and programs to supply at-need or homeless students with leftovers from dining services. Talk to your Financial Aid Office. They can refer you to resources or help you find ways to reduce your meal plan costs. Community organizations will also welcome you. FoodPantries.org and HomelessShelterDirectory.org have directories of food banks and pantries throughout Massachusetts, and the Greater Boston Food Bank (GBFB) has a food assistance locator covering 9 counties and 190 towns and cities in eastern Massachusetts. When in doubt, call one of the Massachusetts food source hotlines. Remember, too, that you may be eligible for government benefits such as SNAP (food stamps) and the Massachusetts WIC Program. WIC gives nutrition assistance to new moms and moms-to-be. Boston has great universities and high prices. The overall cost of living is often well above the national average. Huge housing costs have a lot of do with it, but everything (e.g. health, utilities, groceries) is more expensive in the capital. Public transportation (i.e. the MBTA) is fairly comprehensive for the downtown area, though accessibility gets harder as you hit the suburbs, and the city’s traffic jams are famous. Freezing winters also mean high heating bills. On the upside, there’s a ton of affordable entertainment, plenty of options for biking & walking and student discounts galore. General info for residents can be found on the City of Boston website. Boston is swarming with non-profits that are ready to help you achieve your dreams of college. We’ve listed a few below, but this is just touching the surface. Neighborhood groups, Boys and Girls Clubs, community colleges, Latino and immigrant organizations—all of these are good places to look for assistance. The City of Boston Scholarship Fund has a large number of college scholarships for low-income Boston residents. Students must be planning to pursue an undergraduate program at full-time two- or four-year accredited postsecondary institution within Massachusetts. Mass Mentoring has a long list of youth mentoring programs in the Greater Boston Area (e.g. East End House, Hyde Square Task Force, South Boston T.E.A.M.). You can also search for a mentor and target your circumstance (e.g. single parent, low-income, school dropout, etc.). College Bound Dorchester runs college-focused programs for youth (ages 17-27) including early education and out of school initiatives (e.g. after school) for student parents, one-on-one coaching, college preparation, ESOL & HSE instruction and more. It also has a College Scholarship Fund to help with tuition and other expenses associated with students’ education. Bottom Line helps low-income, first generation Boston residents through its free College Access and College Success programs. Students receive one-on-one counseling, help with college applications, advice on financial aid and campus mentoring. It also works with students in the Worcester area. Wrestling with a specific issue? Another approach is to search by category (e.g. food, education, housing, etc.) in the directory of Boston, MA non-profits on CharityBlossom.org. Worcester may be less flashy than Boston, but it’s significantly more affordable. The overall cost of living hovers just above the national average. The city is putting a lot of effort into making the downtown safer and more attractive to students (e.g. farmers markets, restaurants, free entertainment, etc.) but crime is still a problem. Most folks rely on a car (think gas prices) and winters are snowy and cold (think heating bills). General info for residents can be found on the City of Worcester website. Already live in Worcester? Looking for college scholarships or support programs that can help you prepare for higher education? These non-profit organizations may able to lend a hand. The Greater Worcester Community Foundation (GWCF) has a list of college scholarship opportunities for students in Worcester County. Students only have to fill out one application, and GWCF matches applicants with the scholarships for which they are eligible. Many of these scholarships are targeted at high school seniors. The Worcester Youth Center is a free drop-in program for youth ages 14-24. Academic support includes HSE classes, a Leap to College program to help low-income youth get into higher education (e.g. financial aid assistance, college tours, etc. ), college scholarships and more. Youth can also participate in the work preparation program. The Worcester Community Action Council (WCAC) offers a number of education and employment programs to youth ages 14-24. Services include High School Equivalency Test (HiSET) preparation, skills training, education and career counseling, job and internship placement assistance, summer job opportunities and mentorships. WCAC can also advise on fuel & food assistance, income tax preparation, parenting resources and more. Girls Inc. of Worcester runs a variety of education & wellness programs for girls, including a five-year program called Eureka!®. Eureka! focuses on STEM, leadership, health and fitness, college-readiness and career-readiness. Wrestling with a specific issue? Another approach is to search by category (e.g. food, education, housing, etc.) in the directory of Worcester, MA non-profits on CharityBlossom.org. Springfield is the cheapest of the cities on our list and probably the toughest in terms of reputation. Like Worcester, the overall cost of living is just above the national average. Housing is generally affordable, but crime is still very high in areas. The only public transportation is a bus service, but the Pioneer Valley Transit Authority (PVTA) is reliable and covers twenty-four communities in Western Massachusetts. Winters are particularly cold and snowbound in the west of the state (something to keep in mind if you’re biking, driving or paying for heating bills) but the city has plenty of cheap entertainment options. General info for residents can be found on the City of Springfield website. A number of community organizations in Springfield offer scholarships and support (e.g. child care assistance) to residents who wish to go to college. Many of these agencies will also be able to refer you to other sources of aid. The Community Foundation of Western Massachusetts (CFWM) administers over $2 million in local scholarship and loan funds to 700+ recipients. Students only have to complete one online scholarship application, available from January 1- March 31 of each year. Students attending a four-year school can receive up to $8,000 per year; community college students can receive up to $4,000 per year. Partners for Community (PfC) works with other agencies to offer help with the GED, job training, child care, housing, fuel assistance and more. Its affiliate, the Corporation for Public Management, runs a Young Parents Program (YPP) as part of the MA Department of Transitional Assistance Employment Services Program. Springfield Partners for Community Action is the Community Action Agency (CAA) for the greater Springfield area, and coordinates all kinds of social services, including housing, child care and fuel assistance. Its Scholarships Program gives money to low-income, Springfield high school students and adult learners for colleges and trade schools. The YWCA of Western Massachusetts offers shelter, support and self-sufficiency services (e.g. job training, skill development, child care, etc.) to women in Western Mass. Wrestling with a specific issue? Another approach is to search by category (e.g. food, education, housing, etc.) in the directory of Springfield, MA non-profits on CharityBlossom.org.